My goal is that Live Simply Natural to be a resource to help you feel empowered when making food choices, so I’m breaking down everything you need to know with the most common whole food ingredients. 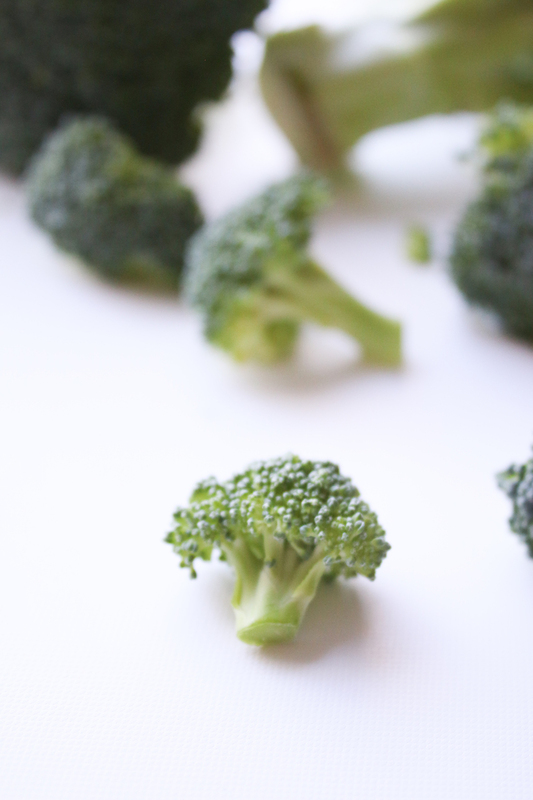 Today I’m sharing one of my fall and spring time favorites – BROCCOLI! Broccoli, while having the opportunity to purchase them anytime of year, they are a cool season crop and are at their peak from fall to around the start of spring. 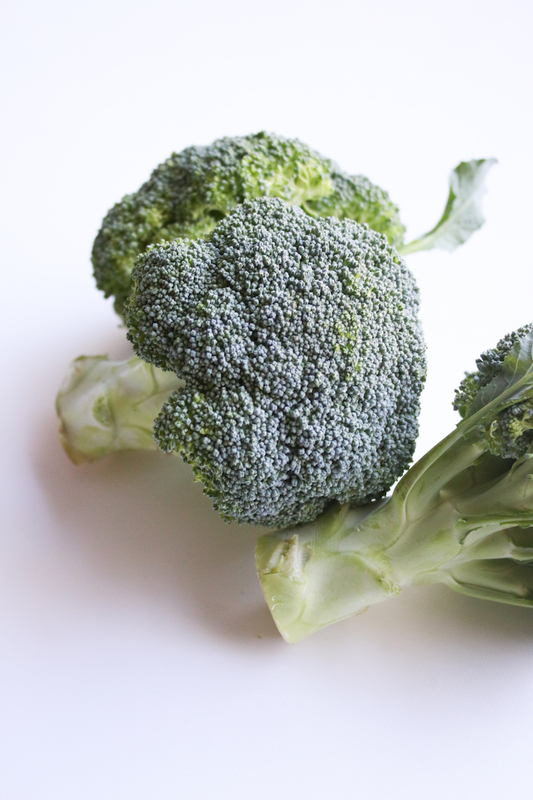 This vibrant green cruciferous vegetable is a nutrition powerhouse with wide appeal. There are hundreds of ways to use broccoli in the kitchen, and just as many reasons to make it a regular part of your recipe rotation. Although many of us despise it growing up, when prepared properly it can be sweet, nutty, and delicious when lightly steamed, roasted, pan-fried, or even munched on raw. Like other cruciferous vegetables, broccoli is full of phytonutrients (natural plant compounds), which may help protect against cancer. 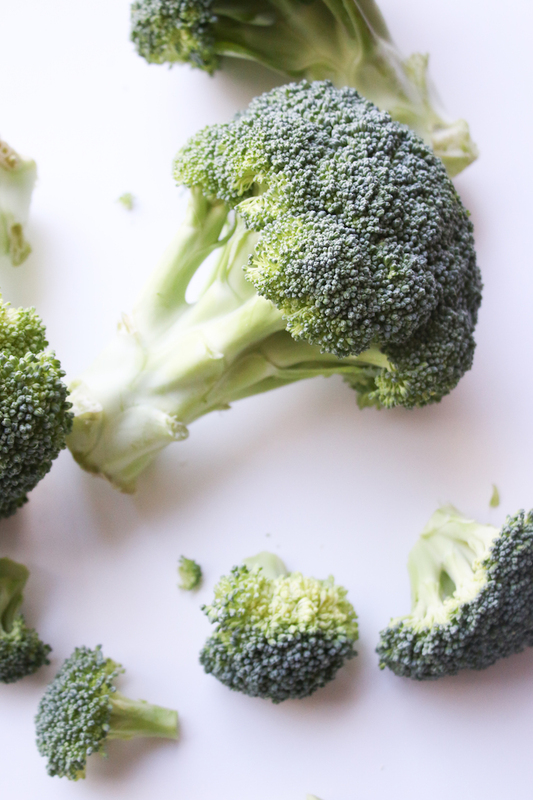 While low in calories, broccoli is rich in essential vitamins and minerals, in addition to fiber. A great source of vitamins K and C, which is essential for the functioning of many proteins involved in blood clotting and building collagen. This helps form body tissue and bone, and helps cuts and wounds heal. This cruciferous vegetable is best when eaten raw, because cooking and processing destroys some of its antioxidants. It has twice the vitamin C of an orange, almost as much calcium as whole milk (with a better rate of absorption), and contains anti-cancer and anti-viral properties with its selenium content. Broccoli is a nutrition powerhouse and great for maintaining a health diet. 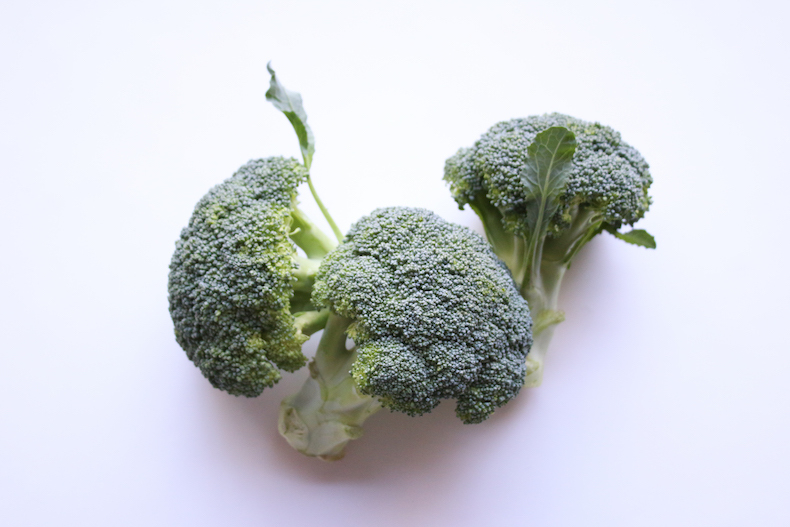 When shopping for Broccoli, you should always look for the same things: Look for heads that are heavy with small buds tightly packed together and a firm stem. The cut ends of the stalks should be fresh and moist looking. 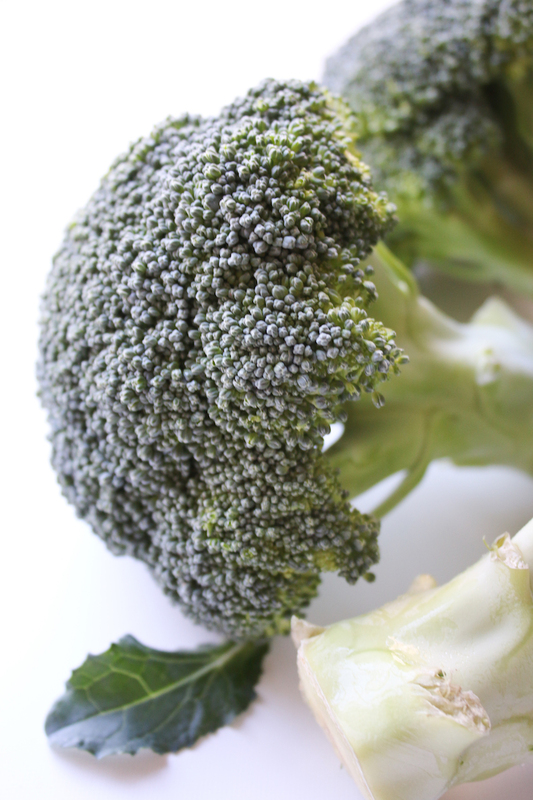 Avoid broccoli with dried out or browning stem ends or yellowing florets. Yellowing is a sign that the broccoli has been sitting on the shelf for too long. Your best bet for good broccoli is at a local farmers’ market as the broccoli in supermarkets, even during peak season, have been out of the earth for far too long to really let their flavor shine. 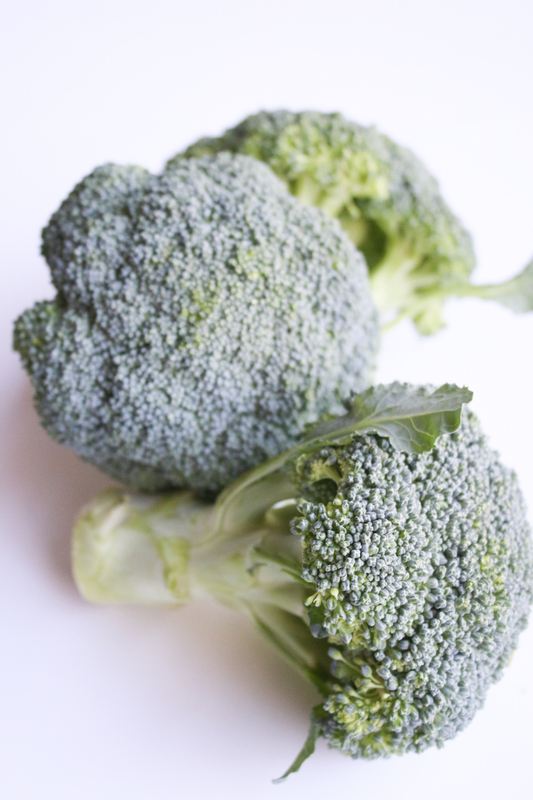 Store your broccoli in your vegetable crisper, unwashed in a perforated bag, and try to use within a few days. 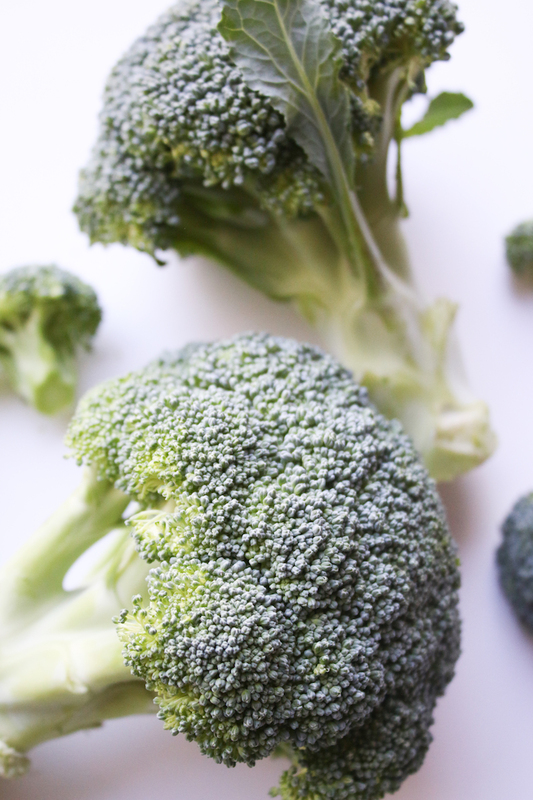 This will help keep your broccoli fresh and crisp. Although they’ll last as long a 10 days in the fridge, try to cook them as soon as possible; their flavor will start to diminish after 4-5 days so the sooner you get it in the pan and into your belly, the better. 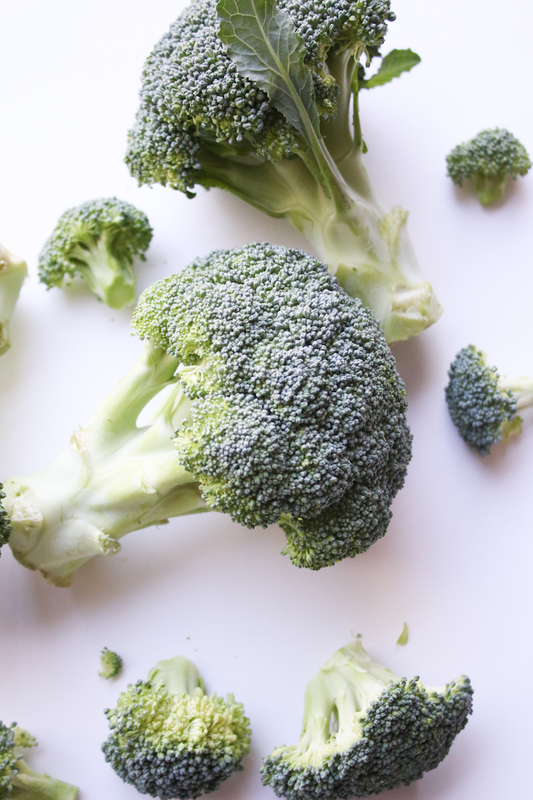 Soak in lukewarm water for 10 minutes to draw out any insects in the leaves, then rinse your broccoli just before using it. For most preparations you’ll want to cut off the florets from the stem or stalk. Most people toss the stem, but if you take the time to cut off its tough exterior, you’ll discover a crunchy, delicious, tender snack. 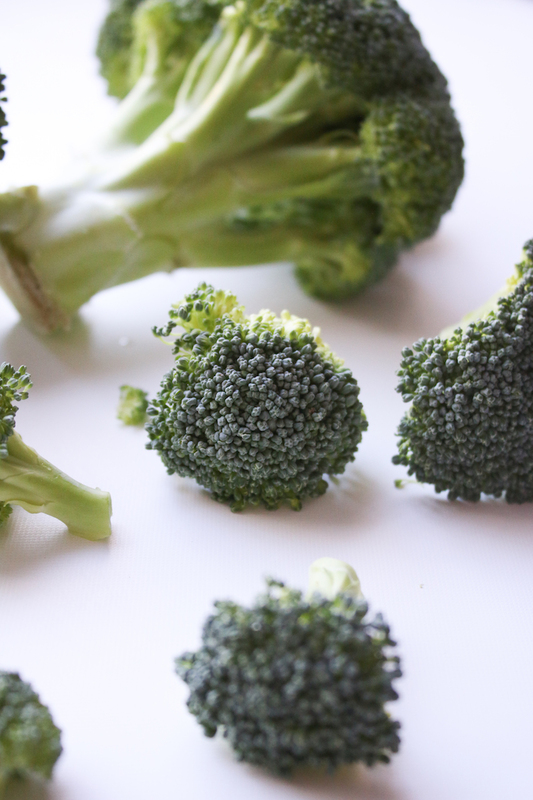 If you’re serving the broccoli raw, you can crisp it by soaking it in cold water for about 10 minutes. Looking for more broccoli recipes? Check out our favorites here!